Yesterday, I was joined by Ethan Gyllenhall for my July, Wisconsin lakefront run. 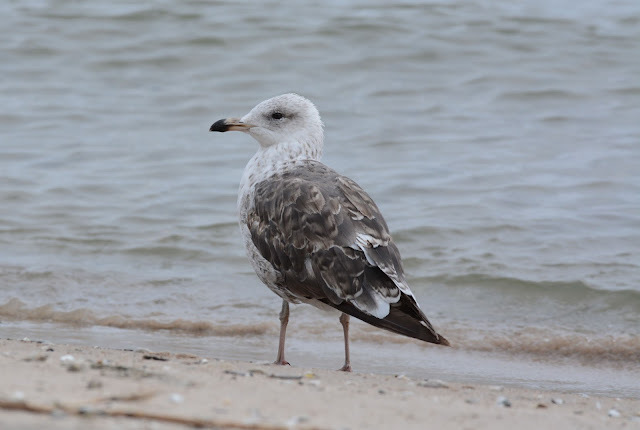 We found 8 species in Sheboygan, with the highlight being a CALIFORNIA GULL. 3rd cycle type California Gull. Sheboygan County, Wisconsin. 14 July 2017. Perhaps a 2nd summer record for the state(?). We also found an all-time Lake Michigan high of 69 Lesser Black-backed Gulls. We opined there must be well over 70 birds but chose to follow a strict protocol with our count. 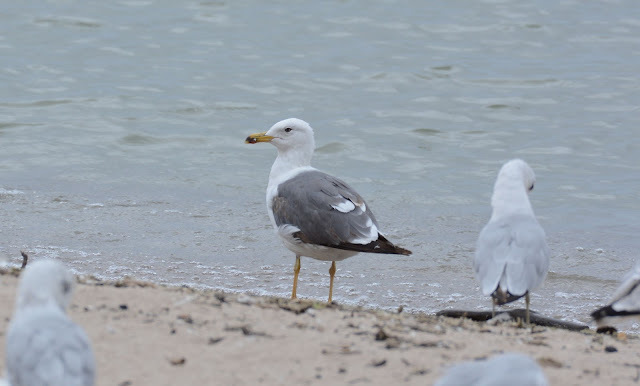 1st summer Lesser Black-backed Gull. Sheboygan County, Wisconsin. 14 July 2017. As usual, the majority of Lessers here are 1st and 2nd summer individuals, but for the first time ever, I had more than a handful of 4th cycle types. This leads me to an obvious conclusion - birds that have summered here for the last 3-4 years are now returning and they're being joined by younger cohorts. 3rd summer (now in it's 4th plumage cycle) Lesser Black-backed Gull. Sheboygan County, Wisconsin. 14 July 2017. I asked Amy Kearns this morning, how long before a few decide to nest in a nearby Herring colony, and her response was an astute, "If they aren't already"! By the way, Amy (a Biologist living in Indiana) had 50+ Lessers here earlier in the week. She seems to be much more enthralled by this phenomenon than most other birders. 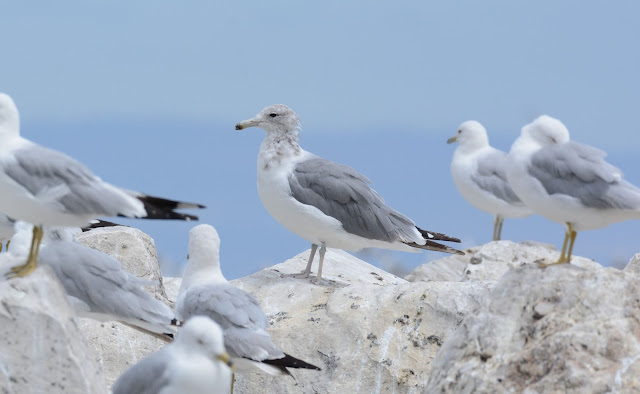 To put this event in perspective, no other place on the Great Lakes has seen this many Lesser Black-backed Gulls at one site, at one time. Ever. In fact, no place away from the Atlantic coast has recorded such summer numbers for the entire continent! Just as interesting is to have lingering Glaucous Gulls on Lake Michigan in July. These birds should be waaaaay north of here at this time of year. We had this beast and a paler 2nd summer type. 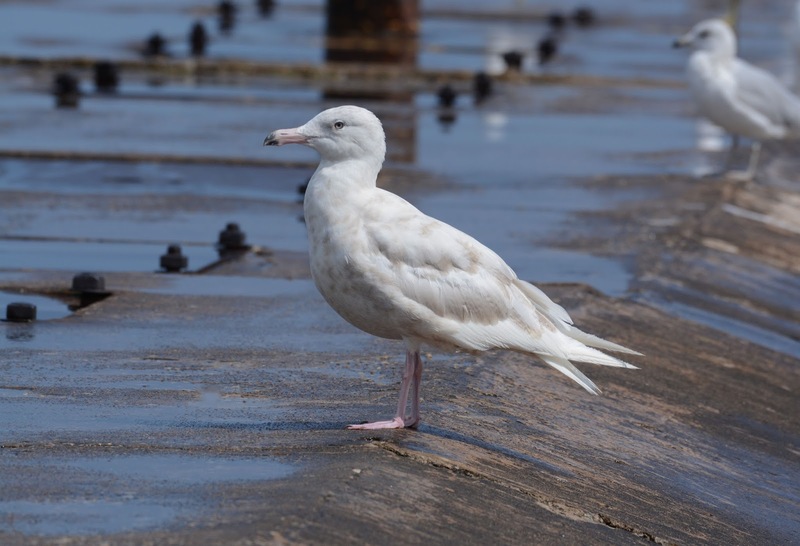 First summer Glaucous Gull. Sheboygan County, Wisconsin. 14 July 2017. A final bird of note here is a 1st summer type Franklin's Gull (different than the bird seen here in May & early June). We missed Laughing (seen by Amy a few days ago) and had zero Little Gulls (despite 500+ Bonaparte's littered about the beaches). And so Thayer's Gull has at long last been put to rest. 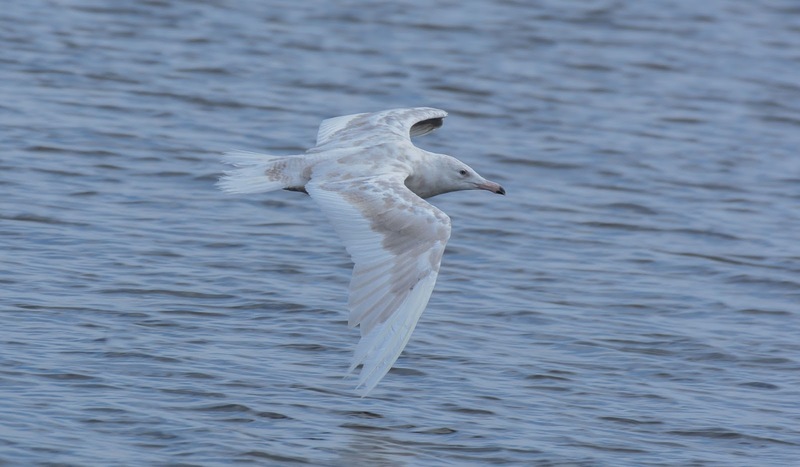 The AOS (AOU) Committee on Classification and Nomenclature has voted unanimously on the proposal to lump thayeri with Iceland Gull (2017-C-7) . The question was not so much whether there was an irrevocable need to retire the species altogether. 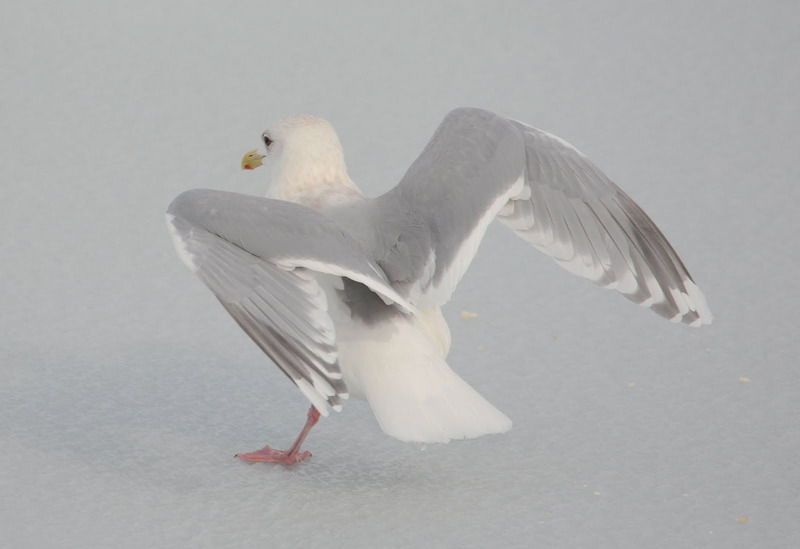 Rather, the matter of contention was that there was never sufficient evidence to recognize the Iceland Gulls (nominate glaucoides, kumlieni and thayeri) as unique "biological" forms. I could not agree more. Whether we call all 3 taxa Iceland Gulls or any other suitable English name is inconsequential - so long as they're regarded as conspecifics in the present. 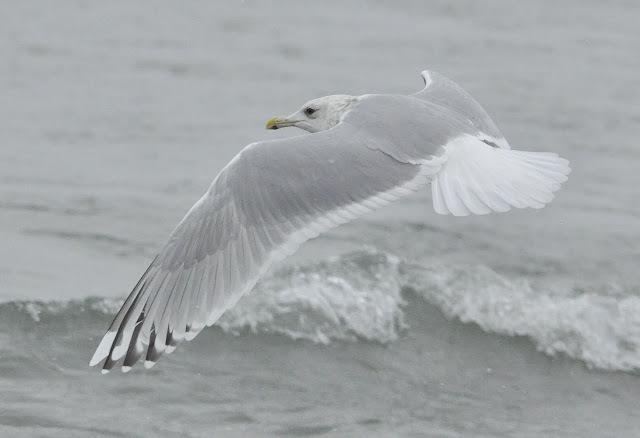 First cycle Thayer's [Iceland] Gull (L.g. thayeri). Waukegan, Illinois. December. The overwhelming majority of birders alive today, including myself, have always known Thayer's Gull as a species. Witnessing a taxonomic lump of this magnitude is, without doubt, sobering. Yet, how many of us were never aware that the decision to give Thayer's species status in 1973 was based largely on false pretenses? How many of us don't realize that thayeri has never been systematically described throughout its breeding range? How many birders still don't know of the multiple accounts that describe pale-winged and dark-winged birds purportedly interbreeding in several regions across arctic Canada? Add to this the fact that virtually zero amount of genetic work has been done in order to better understand these 3 similarly-behaving taxa, and it becomes clear that this lump was imminent! An intermediate thayeri-kumlieni type that I prefer not to stubbornly label. An intermediate adult thayeri-kumlieni type. Whiting, Indiana. February. How is it, then, that anyone would be satisfied with checking off a "species" cloaked with so much ambiguity!? But I digress. This post isn't to argue the merits of lumping thayeri with the Iceland Gulls - that battle has already been fought and won (you can read my detailed opinion on this subject in a post I wrote earlier this year, Thayer's the Iceland Gull - One Species. Also, see my commentary on the recent proposal in Birding, June 2017. V49 N3). First cycle Kumlien's [Iceland] Gull (L.g. kumlieni). Whiting, Indiana. December. 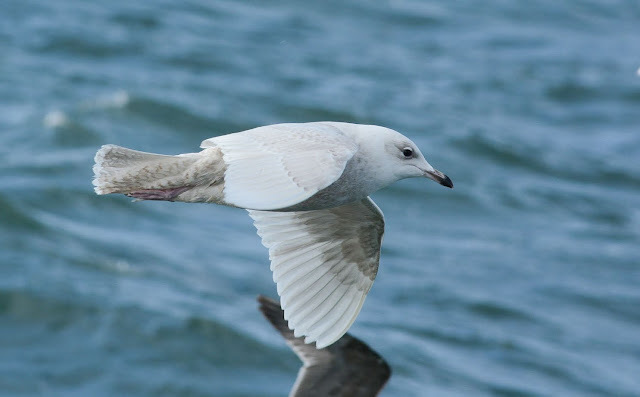 Adult Kumlien's [Iceland] Gull (L.g. kumlieni). Hammond, Indiana. February. I'd like to suggest that this classification will give fresh impetus to gull-watching and gull study in North America. Gone are the days where circular reasoning is permitted when discussing these forms. Intermediate and perplexing individuals will be called just that, with no impulse to pretend we understand their absolute pedigree. Rightfully, a hefty burden of proof is placed on any contemporary worker who attempts to untangle this complex. Iceland Gull (L.g. glaucoides). First Cycle. Volusia County, Florida. January. It's my hope that we'll build on the current identification papers at our disposal, and maybe, just maybe, a few brilliant students of ornithology will eventually get up to the breeding grounds and carefully study these high arctic denizens. At the very least, perhaps increased banding efforts, the use of GPS tracking and the collection of blood samples will be carried out throughout the wintering grounds, for starters. 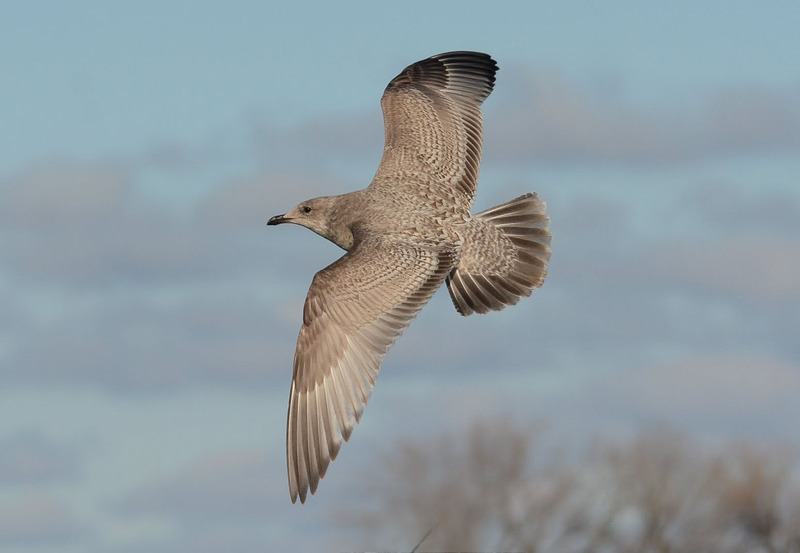 The omission of Thayer's Gull from our "checklists" doesn't any more or less change reality. Over the last couple of days, I've read remarks on social media such as, "Great, now I can stop looking for them", as if the task of finding a Thayer's Gull is similar to finding a mythical dragon. 'Tis not. Adult-type Thayer's [Iceland] Gull. Lake County, Illinois. February. There will still be a sizable population of dark-winged birds that we will systematically identify as Thayer's [Iceland] Gulls come this Fall/Winter. The only difference is, now, we can enjoy the inherent variation found in this complex without illogical consequences. Thayer's Iceland Gull (1st cycle). Gambell, Alaska. 01 June 2017. Franklin's Gull (2nd cycle type). Barnstable County, Massachusetts. 02 June 2017. Western Gull (adult). Sitka, Alaska. 02 June 2017. Franklin's Gull (adult). Sitka, Alaska. 02 June 2017. Black-headed Gull (2nd cycle). Northumberland County, Ontario. 04 June 2017. Herring Gull (1st cycle). St. John's County, Newfoundland. 05 June 2017. Apparent European Herring Gull. All flight feathers intact. 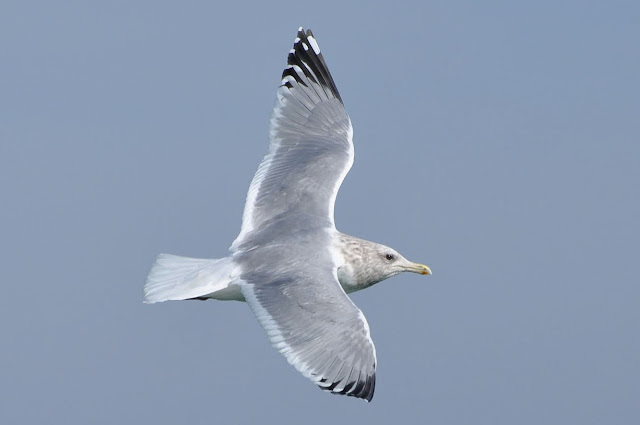 Common Gull (1st cycle). St. John's County, Newfoundland. 05 June 2017. Lesser Black-backed Gull (2nd cycle type). Clay County, Minnesota. 05 June 2017. Thayer's Iceland Gull (2nd cycle). Manitowoc County, Wisconsin. 05 June 2017. Ivory Gull (1st cycle). Nome County, Alaska. 07 June 2017. Ross's Gull (1st cycle). Nome County, Alaska. 07 June 2017. Black-headed Gull (1st cycle). Nome County, Alaska. 07 June 2017. Franklin's Gull (adult). Barnstable County, Massachusetts. 07 June 2017. A different individual than that seen on 02 June 2017. Glaucous Gull (3rd cycle type). Pinellas County, Florida. 09 June 2017. Black-tailed Gull (1st summer). Nome Census Area, Alaska. 13 June 2017. Laughing Gull (1st summer). Kearny County, Kansas. 16 June 2017. Sabine's Gull (adult). Adams County, Washington. 16 June 2017. California Gull (adult). Churchill & Manitoba County, Manitoba. 16 June 2017. Little Gull (2nd cycle). St. Clair County, Michigan. 22 June 2017. Manitowoc County, Wisconsin. 05 June 2017. Nome County, Alaska. 07 June 2017. Barnstable County, Massachusetts. 07 June 2017. Churchill & Manitoba County, Manitoba. 16 June 2017. Most notable this month is Thayer's Gull losing species rank with the AOS (28 June 2017). This taxon is now one of 3 subspecies of the Iceland Gull, Larus glaucoides thayeri. Two adult Bonaparte's Gulls were observed near a gull colony in Raudasandur, Iceland. The observers report aggressive displays and flights, and hinted that the species is most likely nesting at the site. As of this summary (01 July 2017) no nest has been reported. It appears Heermann's Gull has suffered another poor breeding season on Isla Rasa, Baja California. Over 100 adults were observed as far north as Vancouver by mid-June. Thus far only 3 juveniles have been reported this season. Observers are encouraged to carefully report ages seen in the field. One question to ponder is whether the number of 2nd cycle type birds has decreased - this may be an indirect way to census the previous year's young. A dozen or so Lesser Black-backed Gulls - primarily subadults - spent the month scattered about the interior of the continent. Although this steady increase of summering Lessers is somewhat expected, the distribution is random and fragmented from year to year (most likely associated with available food sources). An apparent Chandeleur Gull (American Herring x Kelp) was photographed on the Mississippi Gulf Coast on 21 June 2017. Plumage characteristics suggest a 4th cycle type.